Dotted horsemint, Monarda punctata, is a short lived native perennial that would be a wonderful addition to a native plant garden. It is quite a useful plant in that it has medicinal and culinary uses for humans, provides a lovely flowering plant in the landscape, and provides a nectar for the pollinators. 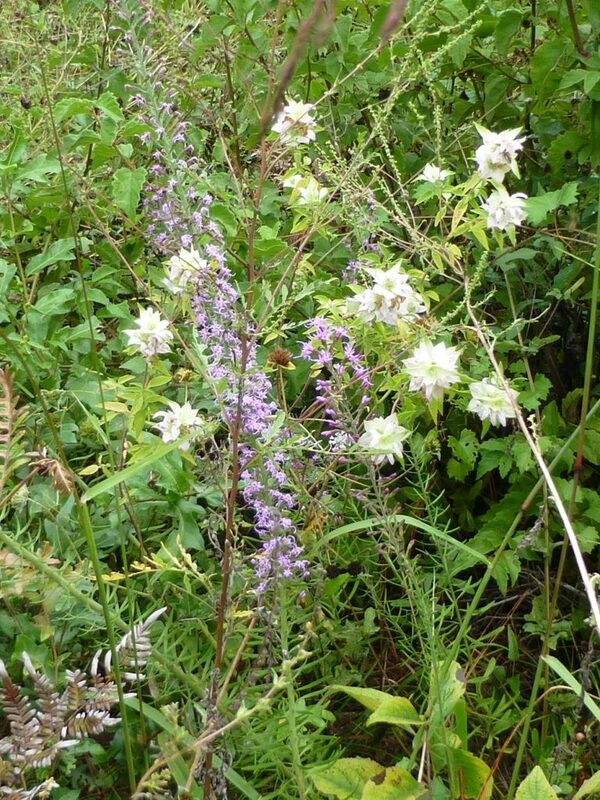 Other common names for Monarda punctata are spotted beebalm and horsemint. As the botanical name suggests it is in the mint, Lamiaceae, family. Its fragrance is not at all like garden mints such as peppermint or spearmint. Some compare the fragrance to bergamot, but I don’t see it because bergamot is a citrus and horsemint doesn’t smell faintly citrusy to me. It has a fragrance all its own that to me smells spicy, earthy, and floral. The species Monarda is named in honor of a Spanish physician, Nicolas Monardes, who wrote a medicinal plant book in 1569. The latin punctate means marked with dots. Dotted horsemint is a wildflower native to the eastern United States. It is considered a short lived perennial, or biennial, but it seemingly continues to propagate itself in perpetuity by runners and once established in an area seems to continually regenerate itself. It is native to Alabama, Arkansas, California, Connecticut, District of Columbia, Delaware, Florida, Goergia, Iowa, Illinois, Indiana, Kansas, Kentucky, Lousiana, Massachusetts, Maryland, Michigan, Minnesota, Missouri, Mississippi, North Carolina, New Jersey, New Mexico, New York, Ohio, Oklahoma, Pennsylvania, South Carolina, Tennessee, Texas, Virginia, Vermont, and Wisconsin. Its USDA hardiness zones are listed as 5 through 9. In Florida it occurs naturally in dry open woods, pinelands, sandhills, roadsides and disturbed sites. In the home landscape it grows in full sun to part shade with average to dry soils. It is drought tolerant once established. However, in early winter, or during dry months, it may need regular watering to keep the plant looking lush. Unlike the red bee balm, or common garden mints, Monarda punctata does not like wet soils. It grows to a height of about 2 to 3 feet and just about as wide. It spreads by underground runners, as most mints do, but tends to form clumps. 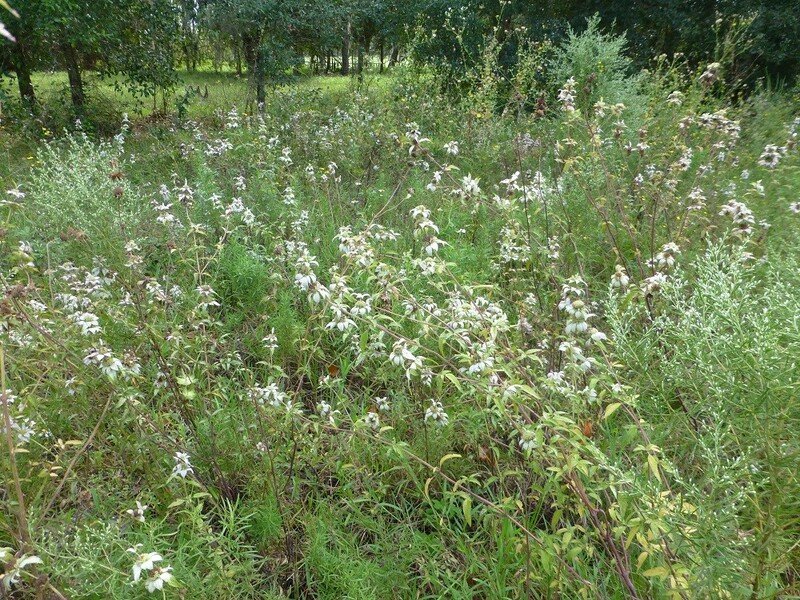 Horsemint is its most striking when planted en mass along the edges of natural areas to create large swaths of color in the fall. However just a single plant adds a bright pink color to the landscape and provides a nectar source for the bees, flies, wasps, hummingbirds and butterflies. The leaves are opposite and shortly stalked. The shape of the leaf is lanceolate and the leaf margins are toothed. The stem is square. 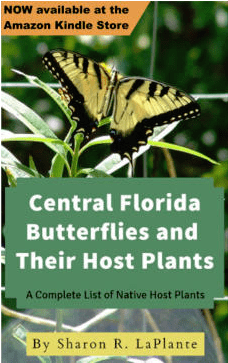 The flowers appear in the summer and fall in Central Florida. The flower itself is a compact cyme that consists of an abundance of closely packed tubular flowers. Each flower head is surrounded by a ring of pink leaf bracts. The petals, corollas, themselves are two lipped structures that are white with purple dots. As the bloom begins to age the petals wither and fall off and the leaf bracts fade and become splotchy losing their bright pink color. Once the petals fall the tubular flowers become more visible. These small structures are where the seeds will mature. Wait until the seed heads start to turn brown, and dry, to collect seeds. If collected too early, while still green, they may not have had time to mature and become viable. Propagation is achieved through seeds or transplants. Seeds can be direct sown in the fall and allowed to overwinter naturally, or cold stratified by placing in the refrigerator and started in the spring. Transplants should have most of their upper foliage removed to conserve the energy of the plant allowing it more resources to survive the shock of transplant, and kept watered until it becomes established. Dotted horsemint is a favorite of pollinators such as bees, flies, wasps, and butterflies and is an important nectar source in the fall. Dotted horsemint also makes a wonderful herbal tea that has the flavor of its fragrance is quite enjoyable. 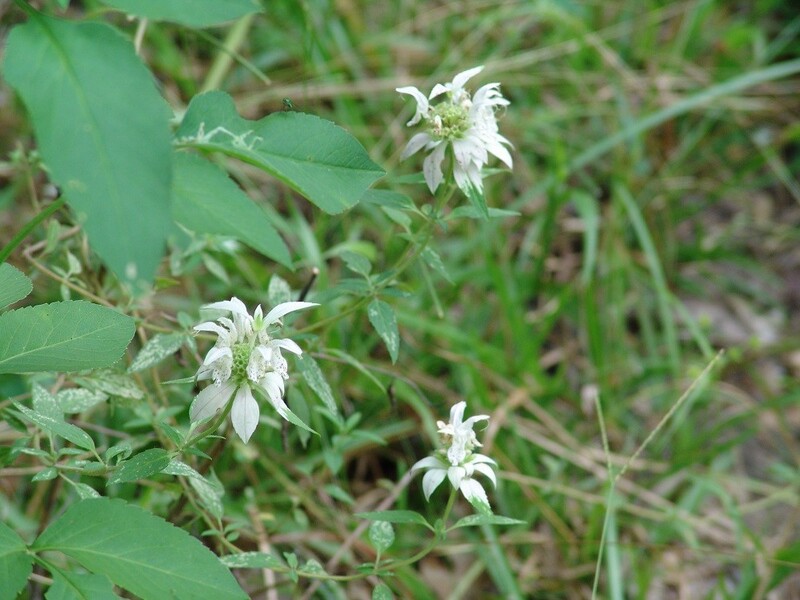 See my article Dotted Horsemint Tea. 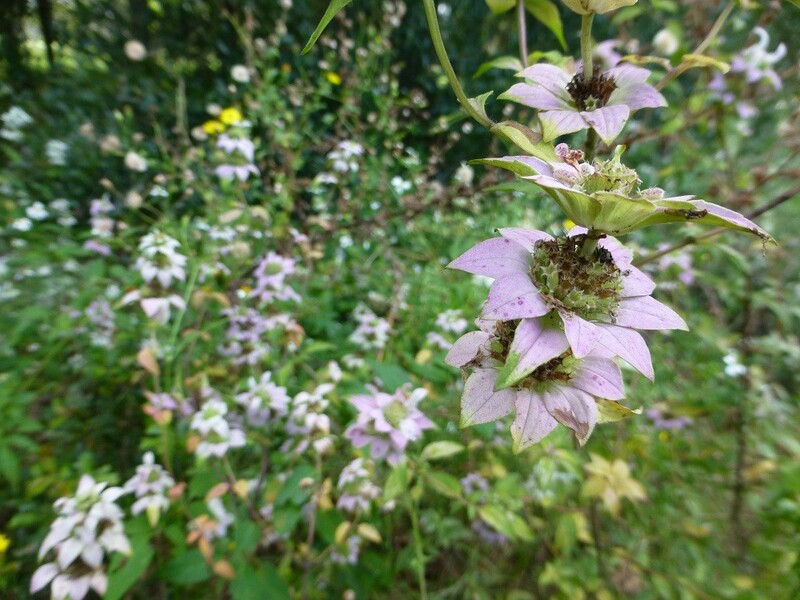 Monarda punctata would be a wonderful addition to a native plant garden. It is quite a useful plant in that it has medicinal and culinary uses for humans, provides a lovely flowering plant in the landscape and provides nectar for the pollinators. Purchase dotted horsemint seeds at my ebay store. Grieve, M. A Modern Herbal; the Medicinal, Culinary, Cosmetic and Economic Properties, Cultivation and Folk-lore of Herbs, Grasses, Fungi, Shrubs, & Trees with All Their Modern Scientific Uses. New York: Dover Publications. 1971. Foster, Steven, and James A. Duke. Field Guide to Medicinal Plants: Eastern and Central North America. Boston: Houghton Mifflin. 1990.